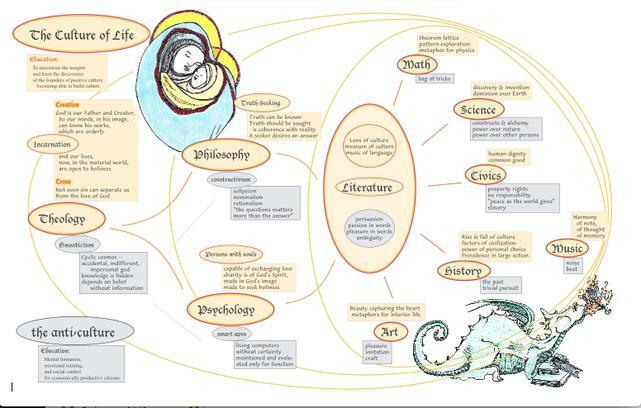 A Curriculum for the Culture of Life is not a set of books, although some excellent resources are suggested. Rather, it is an outline of the nature of education as the introduction to culture through ten fields of learning. To interiorize the insights and learn the discoveries of the founders of positive culture, thus becoming able to build culture. Mental formation, emotional training, and social control, for economically productive citizens. 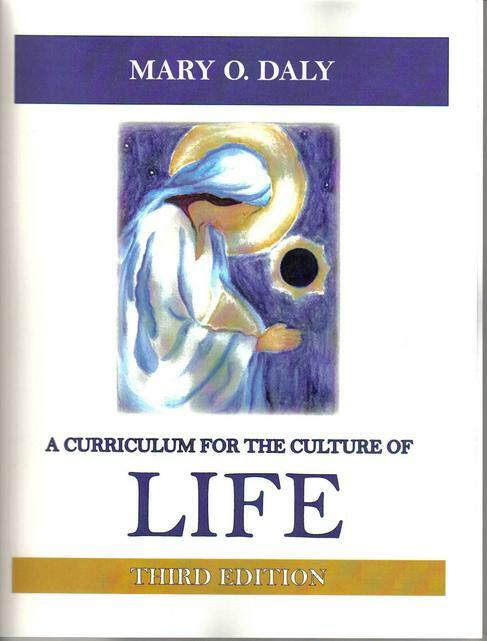 How to build a curriculum which reflects and nurtures the culture of life which is itself based upon the principle of the Incarnation. The videos are an informal discussion of the ten fields of learning. The individual parts of the essay are found on the site as its backbone. Other essays on education are listed at the link above. To begin with, the purpose of education is the formation of the interior life: the spiritual, mental, and emotional life of the human person. Some of this formation is pursued directly by giving information about the interior life, first of all about faith. Theology is the intellectual expression of matters of faith. Wisdom admonishes us to impart this information in such an attractive manner that students will open their hearts as well as their minds, and allow themselves to be formed by it. In a lesser sense, psychology and philosophy are also formative disciplines, especially when they are pursued in the light of faith. In various other disciplines, mental formation is pursued indirectly as we obtain information about the world about us. It should be clearly understood, however, that all information is formative. In particular, it is important that general secular studies be pursued so as to help the student acquire an orderly understanding of the world. A sense of historical, sociological, artistic, or cosmological chaos will undermine faith as effectively as bad theology. So begins an essay on the structure of a Catholic curriculum. This is not a practical guide in the sense of offering a comprehensive list of resources. I wish I thought that ideal resources were available in every domain, but many pieces are missing, while most are duplicated but always with missing parts. Nevertheless, some resources are listed, and the essay offers a perspective from which to evaluate the resources that you do use. The essay is 88 pages long, spiral bound with a laminated chart laying out the relationships between the major disciplines and displaying the cultural and the anti-cultural approach to each discipline. Substantial margins in the essay are devoted to listing a few of the best resources. This essay lays out the principles guiding the Hedge School. To see a diagram of the way it is laid out, see the Home Page of this site.